The lengths some people will go to in order to achieve the perfect shot – only to then post it on social media – are getting more and more extreme. While many people can relate to long-suffering social media photographers, tirelessly taking photos of their partner who knows exactly what angle they want, some people are taking that ‘gram life further, and somehow making a living from it. 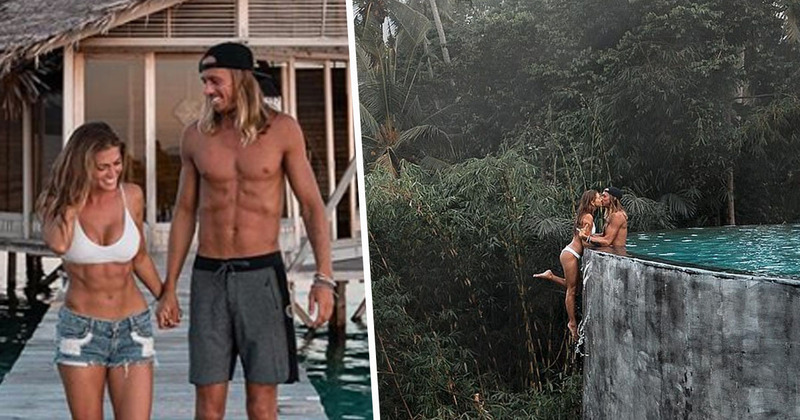 Take Kelly and Kody, for example, a ‘travel couple’ who share their perfectly photogenic adventures on Instagram under their ‘positravelty’ name. Do you see what they’ve done there? 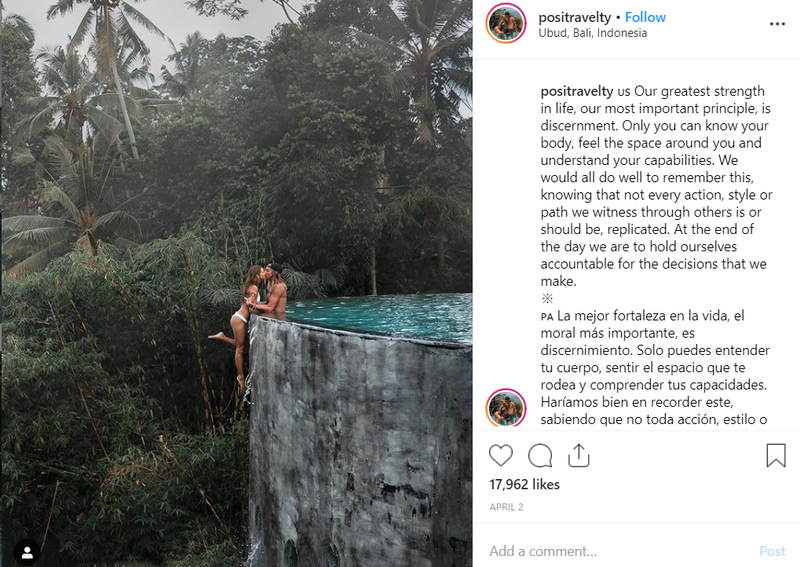 One photo from Kelly and Kody has come under fire from their followers though, as it shows the pair kissing while Kelly hangs over the side of an infinity pool, with nothing but a hefty drop beneath her. Our greatest strength in life, our most important principle, is discernment. Only you can know your body, feel the space around you and understand your capabilities. We would all do well to remember this, knowing that not every action, style or path we witness through others is or should be, replicated. At the end of the day we are to hold ourselves accountable for the decisions that we make. The couple have insisted they were ‘super slow and cautious’, telling MailOnline they are ‘full of trust for each other’. However, with no precautions, some Instagram users were more wary of the couple’s safety than the scenic photography. Replying to comment, Kelly and Kody insisted that the shoot, despite its obvious dangers and risks involved, was great fun. It was a blast setting this up. Kody had a very good hold of me. We trust each other entirely. It was such an amazing feeling to have this come out exactly as we planned. We are safe and sound. While it’s good that everyone is safe, one wrong move and the whole thing could’ve ended very differently for the pair. Please don’t try this at home.